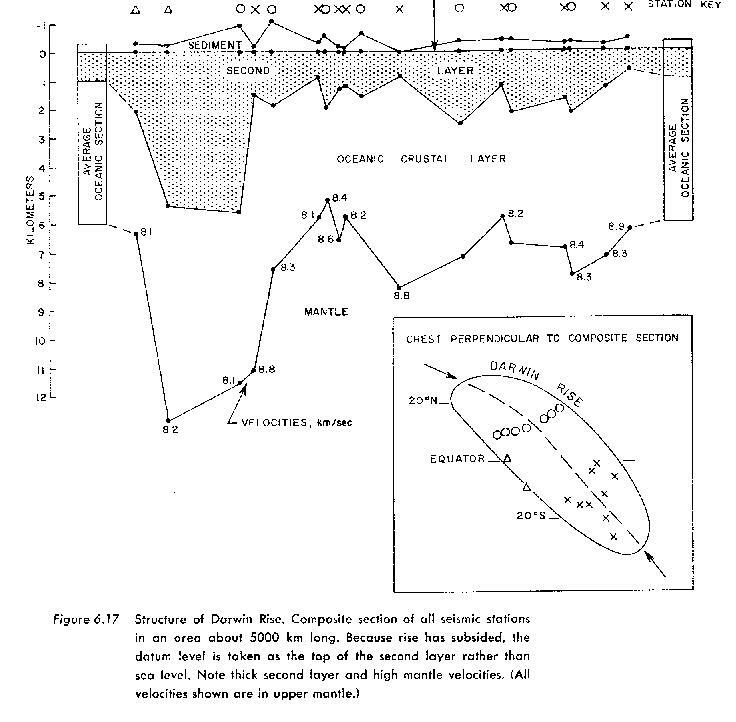 There is a specific Geological structure recognised by science which corresponds to the continent of Mu as stated by James Churchward in his Lost Continent of Mu books and that structure is known as the Darwin Rise.Charles Darwin theorised from his observations on the growth of coral atolls in the Pacific that at one time the islands that the coral had grown on were once the tops of volcanoes at a higher elevation and that there had subsequently been a subsidence throughout the Pacific which made all of the volcanoes sink to a lower level, all the while the coral reefs continued to grow upward. 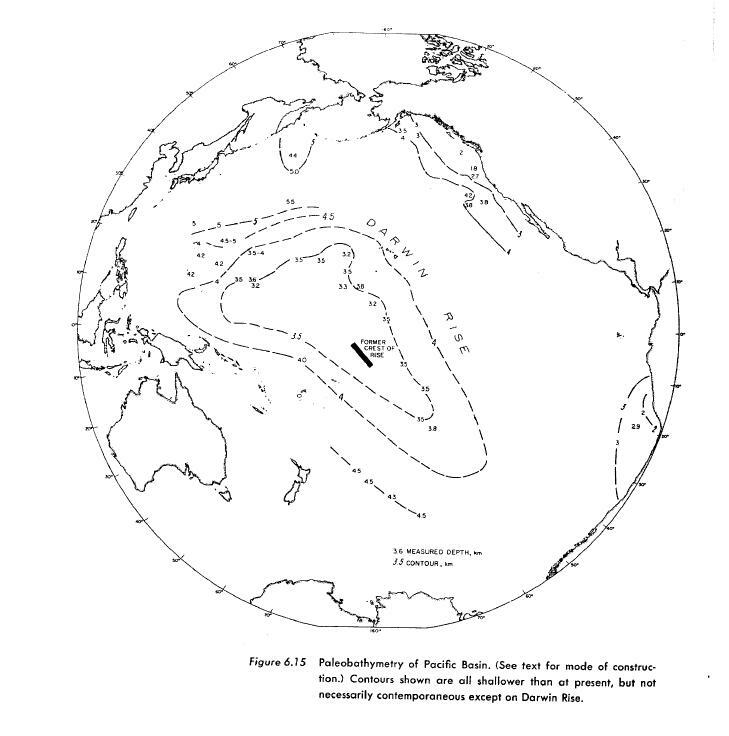 Menard, H. W., Marine Geology of the Pacific, McGraw-Hill, New York,1964. 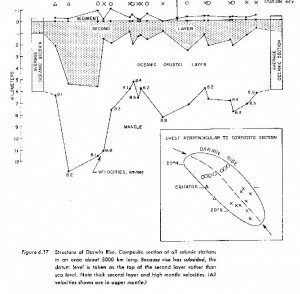 Most of the following charts and tables are Menards and have to do with the strata at the ocean floor, deposition and age of the deposition that deep-sea dredgings implied. The Colour globe is from DISCOVER Magazine and shows anomalous gravity readings around the world, including suspicious readings in both the Atlantic and the Pacific which could be interpreted as indicating submerged lad areas. 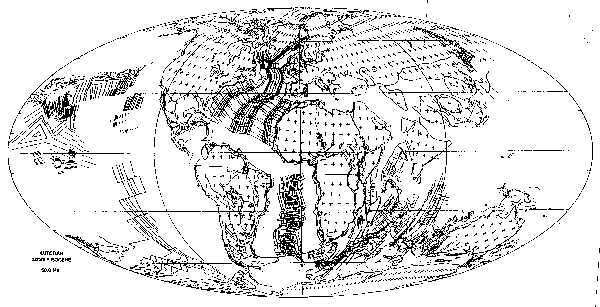 The readings in the Atlantic are much stronger than in the Pacific. 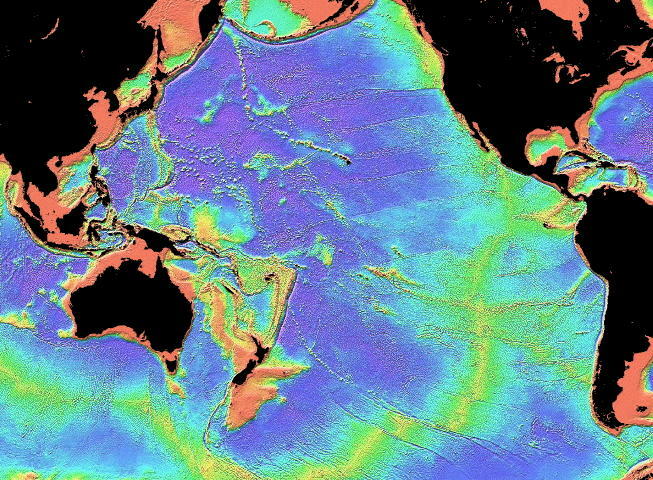 The colour map shows the current condition of the floor of the Pacific. 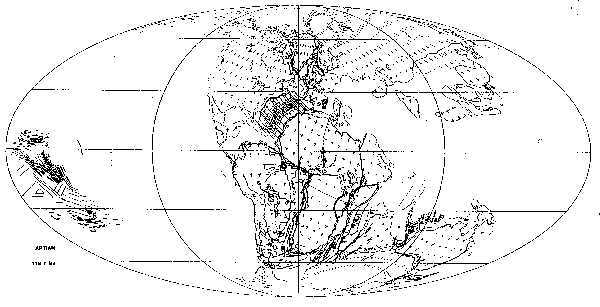 This sequence of geological maps shows the hypothetical building and collapse of the Darwin Rise, out to the far left of each map and separate from the regular Continental drift. 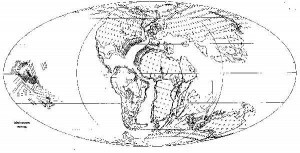 Some theorise that the Darwin Rise arose on the opposite side of the Earth to Pangaea as a counterbalance and it was sunk during the process of continental drift itself. There is also controversy about how high it ever got and consequently how much of it was ever possibly above water level. Menard calls it “An incipient continent” and theorises that it arose in the early Cretaceous and sank in the Late Cretaceous (the last part of the Age of Dinosaurs) Hence Alley Oop would have had it right to be on “Moo” in the Age of Dinosaurs-except for the fact that there werre not supposed to be any humans around at that time. 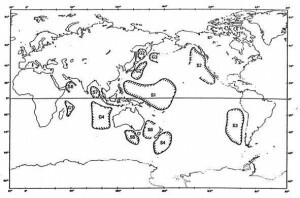 These continental drift maps by Scotese show the remnants of the Darwin Rise (the subsequent Superswell) tho have been around in the early part of the Age of Mammals. 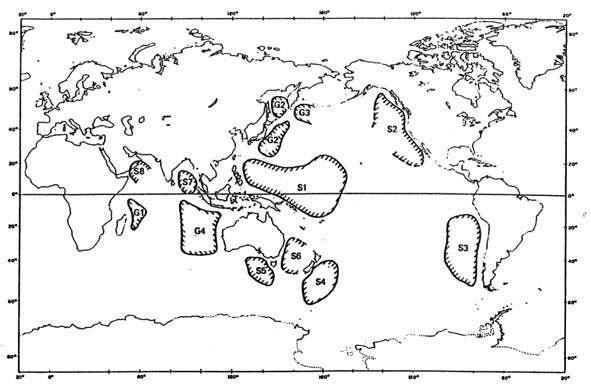 It is important to the theory that most of the islands have been actual islands during the later Age of Mammals, so that the coral reefs could grow up on them. 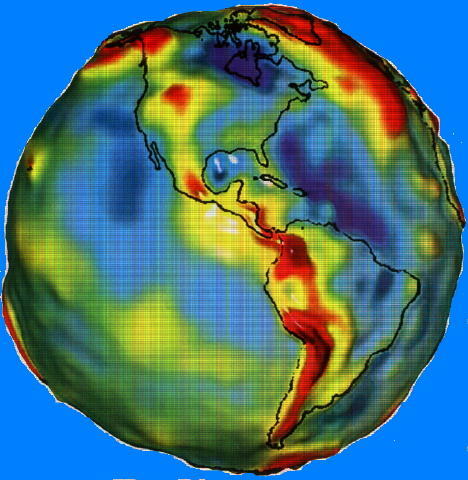 Which very much implies that the largest part of the Pacific has been in a condition mostly resembling today for the last several tens of millions of years. 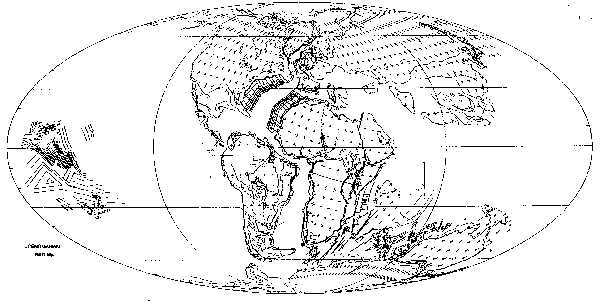 The last map shown is a map from M. Dickins, “What is Pangaea?”, in: A.F. Embry, B. Beauchamp and D.G. 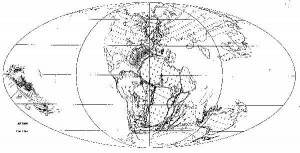 Glass, Pangea: Globalenvironments and resources, Canadian Society of Petroleum Geologists, Memoir 17, 1994, pp. 67-80; D.R. Choi, Geology of the southeast Pacific, parts 1-3, New Concepts in Global Tectonics Newsletter, no. 7, pp. 11-15; no. 8, pp. 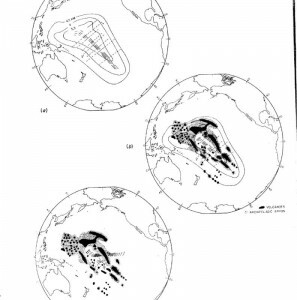 8-13; no. 9, pp. 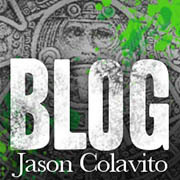 12-14, 1998. 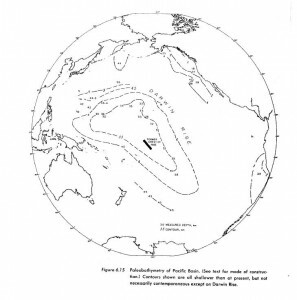 It shows areas near the Pacific which show signs of having been above sealevel at some time in the past without saying how recently that might have been.